Galaxy S4 Mini is the Mini version of the Galaxy S4 and was launched by Samsung in 2013, the same year Galaxy S4 was launched. 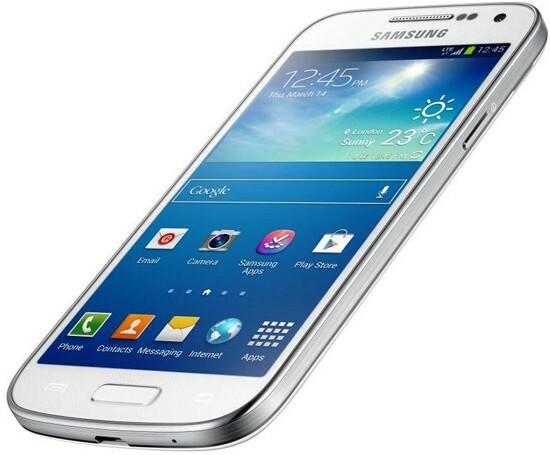 Galaxy S4 Mini features a 4.3 inch Super AMOLED capacitive touch screen display with 540 x 960 pixels resolution and is powered by 1.7 GHz Dual Core processor. It packs 1.5 GB RAM and has 8GB internal storage and runs on Android 4.2.2 Jelly Bean out of the box and is updated to Android 4.4.2 Kitkat. Android 4.4.2 Kitkat update is rolled out to Galaxy S4 Mini LTE I9195 via OTA so you can easily update your device via OTA. If you are facing issues or having trouble updating Galaxy S4 Mini LTE I9195 to Android 4.4.2 Kitkat via OTA, then follow the below procedure and manually update Galaxy S4 Mini LTE I9195 to Android 4.4.2 Kitkat XXUCNH5 firmware. Make sure your device model no is I9195. Check in Settings > About Phone. Make sure USB Debugging on your device and backup important stuff on your mobile. 1. Download Odin Software on your PC from here. 2. Download the Android 4.4.2 Kitkat XXUCNH5 Package from here to your PC. 3. Turn off your phone and turn it On while pressing, Power + Volume Down + Home button until you see some text on-screen, press Volume Up to continue. 4. Make sure USB Drivers are properly installed on your computer. 5. Open Odin in computer and connect your device to PC, while it is in the Download mode. 6. If there is a successful connection, then the Odin port will turn Yellow with COM port number. 7. Then tap on PDA and choose the file who has the biggest size. 8. In Odin software, you need to check Auto reboot and F.Reset Options. 9. Now click the Start button and wait for the process to complete. 10. Now wait for a while till the installation process is completed. Once done, the device restarts into normal mode.